Safe and simple skincare during pregnancy. 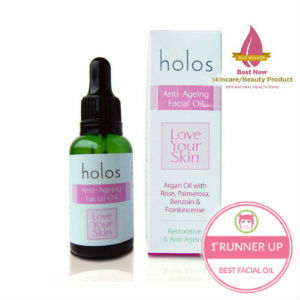 Try Holos Happy Momma Body Oil and Anti-ageing Facial Oil! During pregnancy it’s best to keep it simple. The body and even the skin goes through lots of changes so feeding both with good simple nutrients is very important. Once baby comes, time is not in abundance so maintaining a simple but effective skincare routine is necessary. Holos Skincare is luxurious plant based aromatherapy skincare which provides a comfort blanket to the senses and feels like velvet on the skin. Cosmetics are safe and provide the skin with much-needed vitamins, antioxidants and essential fatty acids. The skin needs nutrients to maintain health and to be protected from the signs of premature ageing. We recommend that limiting products during pregnancy is a good idea especially when using products with active absorbent ingredients. Here we explain how you can get the most from just 2 products that will do everything during pregnancy and the busy parenting years. 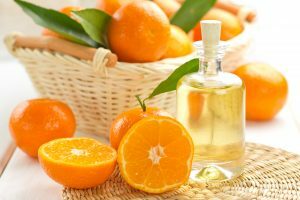 This is a multifunctional aromatic oil with mandarin and neroli. Use it in the bath or as a body moisturiser. It’s especially great on the areas that are prone to stretch marks. It absorbs and helps to plump the skin and lock water into it, diminishing the appearance of stretch marks. Its also good for scar tissue after baby has been born. This absorbent oil can also be used as a hair oil, a nail oil and is the most wonderful cleanser for removing make-up and general grime from the skin. All you need to do it massage the oil into the skin and remove with a warm damp facial towel. This is a handy, multi-use product every Mum needs in her armoury. This award winning best seller is packed full of natural good fats that plump the skin, smooths out fine lines and locks water in to keep the skin hydrated. Just 4 drops massaged into the neck, face and around the eyes will provide the skin with antioxidants to protect against free radical damage. Essential oils treat blemishes and inflammation. It’s a hassle free facial miracle and can be used instead of a moisturiser to limit product use during pregnancy. My wife has been looking for safe skin care products to use during her pregnancy. I really like how you mention that body oil can help retain water because her skin has been really dry and itchy in the last few months. It’s really nice that it doubles as a makeup remover as well! I’ll have to pass this along to her. Thanks for the help! Glad you found our blog helpful. Hopefully your wife finds something that works. If you/she signs up for our newsletter/offers you’ll receive a discount code for `15% off your next 2 orders. Best of luck.